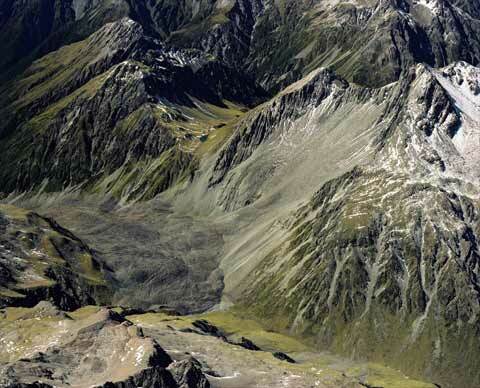 During the magnitude 7.1 Arthur’s Pass earthquake on 9 March 1929, a 900-metre-high section of mountain peak collapsed onto Taruahuna Pass, close to the epicentre. The landslide continued partway up the flanks of Mt Franklin opposite. It then slid about 5 kilometres down the remote valley of the west branch of the Otehake River. The collapsed peak was later dubbed Falling Mountain.